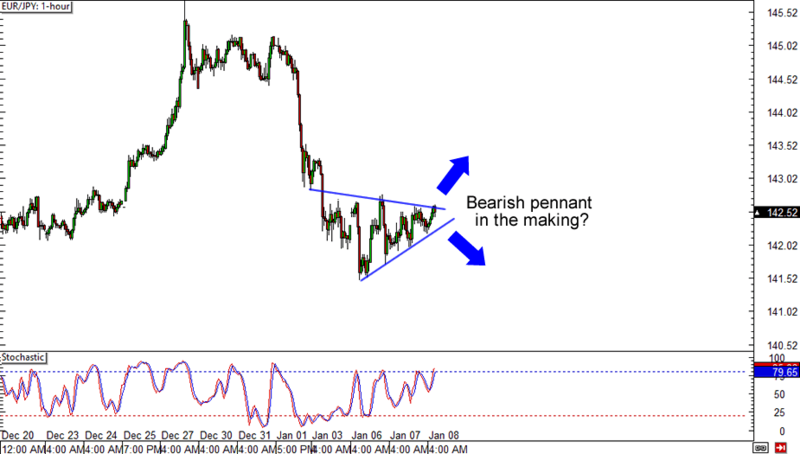 I spy with my cool, blue eyes a bearish pennant in the making! EUR/JPY is consolidating on the 1-hour chart after it plummeted from the 145.00 area. Does this mean that the bears are poised for another round of selling? Be careful in shorting this one though, as the next possible support, the 141.50 level, is only a few pips away. Trend traders huddle up! 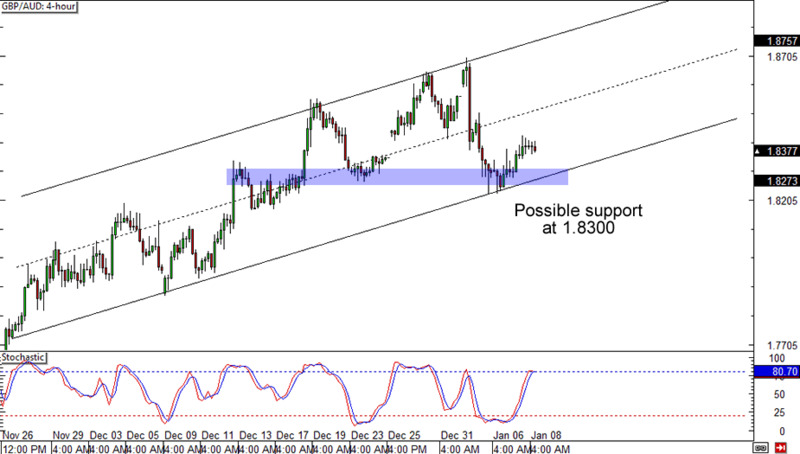 GBP/AUD looks like it’s headed back to a rising channel support on the 4-hour time frame. I wouldn’t be surprised if the 1.8300 level holds as it has previously served as support and resistance for the pair. A stop just below the trend line could get you a sweet risk ratio if you think that the pair is set to break December’s highs. I hope you’re up for some Fib action because this one is too good to miss! 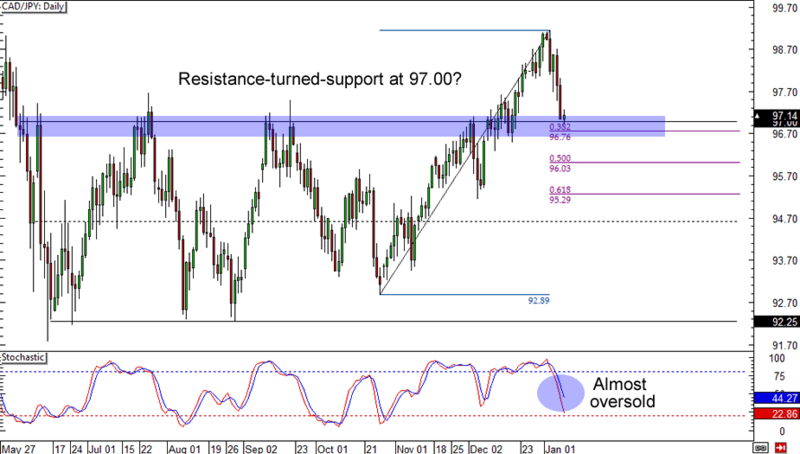 CAD/JPY is back at the 97.00 zone, an area that had served as a solid resistance level for the second half of 2013. What makes this setup even sweeter is that it’s also a 38.2% Fib retracement area on the daily chart. Stochastic is still above the oversold territory though, so you might want to wait for a couple more candlesticks before you jump in on this one.